Privacy-oriented cryptocurrency Verge (XVG) surprised users after becoming one of the fastest growing cryptos of the last week, surpassing the performance of several larger-cap cryptocurrencies. Verge had a growth of more than 50% of its value, after Bithumb’s announcement that it enabled the trading of the popular token within its platform. The stimulus caused by the dissemination of this news provoked an increase in XVG’s value, leading it to climb positions within the global market cap and rank several seats higher in the Top 50 of the most capitalized cryptocurrencies. 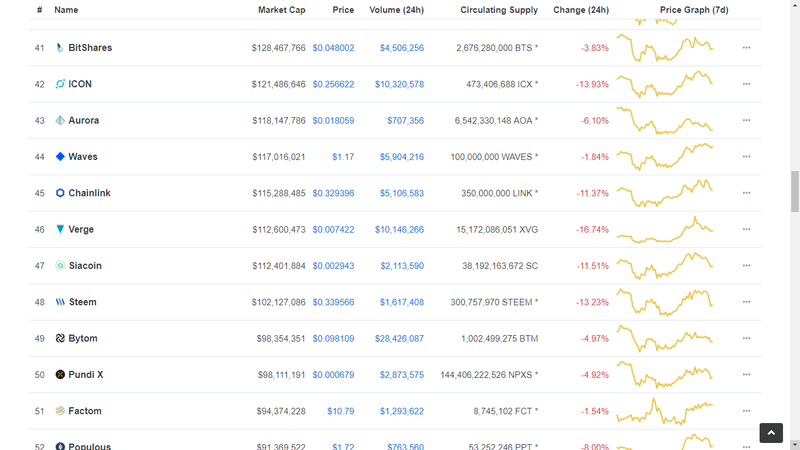 According to coinmarketcap’s archive, Verge (XVG) ranked 50 just four days ago with a total capitalization of $82,404,557. Today, it is ranked 46th with a capitalization of $112,600,473. This represents a +40% increase in less than a week, something quite remarkable. It is important to note that due to the high volatility of the crypto markets, prices can change rapidly. However, from the technical point of view prices do not yet show a behavior that would allow us to speak of s trend strong enough to fall back to levels of a week ago. XVG trading began a few hours ago in Bithumb, so it is essential to know that according to previous experiences, after the initial pump — unless the crypto has stable and proven support levels — the prices tend to fall drastically. However, it is likely that if there is a fall in prices, it will not cause prices to fall back to levels of a week ago.